Centrally located in both Stenhousemuir and Falkirk we are proud to offer NHS and private treatment to all patients and are currently registering new NHS patients. We also offer an extensive range of cosmetic dental and facial rejuvenation treatments including Six Month Smiles and Inman Aligner short term orthodontic systems. We also provide treatment for excessive underarm sweating (hyperhidrosis.) We are an approved stockist for the cosmeceutical brand Skinceuticals. We strive to achieve excellence in all aspects of practice and patient care. The practice has a high commitment to post graduate education and all team members regularly undertake courses and in-house training to keep up to date on latest techniques and developments. 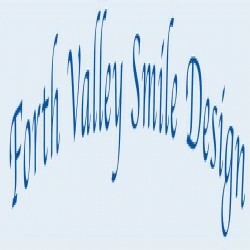 Our aim is to make your visit as painless and relaxing as possible and we will do our upmost to make you feel at ease. We will not hesitate to answer any questions you may have regarding your treatment or available options. Prevention is at the heart of our practice philosophy. From birth through to retirement and beyond, our goal is to help you achieve the healthiest smile possible. We look forward to welcoming you and your family to the practice.